Call this a countdown if you will….where I will be tasting my best-loved treats one last time before heading off to the UK. I will start with Haberfield, a small suburb that is home to many Italian immigrants and therefore a great selection of Italian eateries….cheese, bread, cake and small goods shops. It is also the place I have been visiting with my Mum since I had my first child. We have been taking the boys to the little park there for about 5 years now, occasionally snacking on cannoli or almond cookies and never leaving empty handed. We took one last trip into Haberfield last week and with a tear in my eye I looked around the familiar streets with fondness. 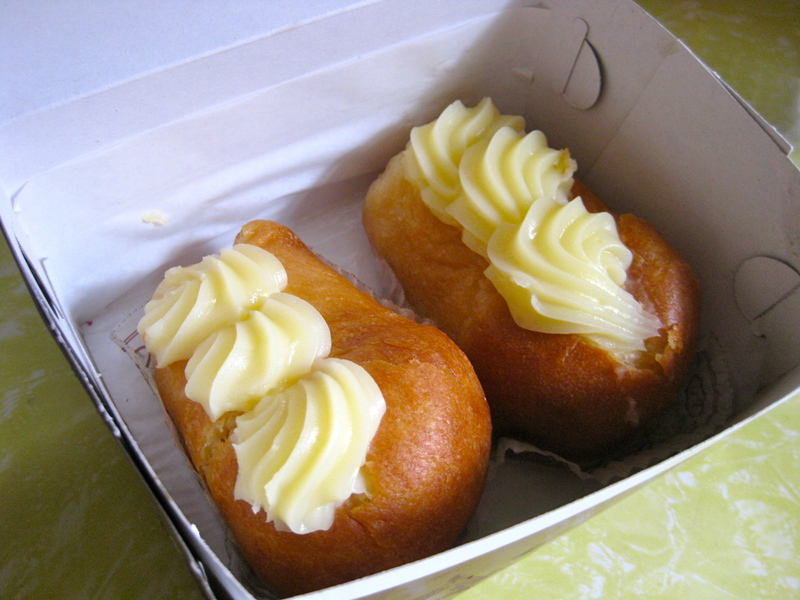 This photo here is rum baba from Pasticceria Papa, a big bread and cake shop on the corner of the main street. They sell the best bread, cakes and cookies but it’s their babas that I love the best. So sweet and soaked in rum essence, filled with custard – it doesn’t get any better than this. There is also Maria’s 5 Star Deli where we get our Grana Padano cheese, the Paesanella cheese shop where they sell fresh ricotta and the most amazing Marscapone layered with walnuts and Gorgonzola. Oh and don’t forget Sulfaro’s Pasticceria where you can get the best cannoli and panzarotti. In fact, it was Sulfaro’s that first drew us to Haberfield…all those years ago.